Running an ecommerce store in the ‘hotly contested’ digital marketplace is a tricky affair. Everyone is working hard to outdo each other – investing in the best ecommerce platform software, employing ‘topnotch’ marketing strategies and offering the best customer experiences. Businesses want to stand out. They want to dominate our competitors. But most importantly, they want to get more value for every single coin ploughed into their business. One of the ways to stay on top is by increasing ROI your social media marketing by leveraging social commerce. But before you get there, you need to know the social media platforms that can catapult your business to the next level. 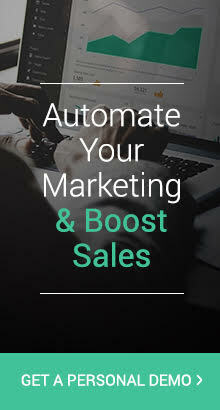 You also need to know how to work out the ROI and circumvent the challenge of generating sales from a cold audience that isn’t out make any purchase. But…what exactly is social commerce? In simple terms, social commerce is the convergence of online shopping and the social media networks. Or as Digital Intelligence Today puts it – it is a form of electronic commerce that involves online media, social media, and user contributions on such platforms that fosters online selling, buying and a host of other services. It is a buzzword that has been trending for the last couple of years. According to the latest statistics (eMarketer), revenue generated through social commerce grew from US$ 3 bn in 2012 to US$14 bn in revenue in 2015. According to statista, the total revenue for social commerce hit US$ 73.83 bn in 2018. The main social media platforms commonly used by small businesses today to put their marketing message out there include are Pinterest, Facebook and Instagram. There could be others, but the bulk of marketing magic happens on these platforms. Pinterest isn’t just another visual search engine. It is more of a discovery platforms. According to Millward Brown study, about 87% of pinners have made a certain purchase as a result of Pinterest. And about 93% of pinners are using the platform to either make or plan a purchase. That is why Pinterest is becoming one of the most attractive social commerce platforms for ecommerce stores. The platform helps businesses position their ads or content in front of potential customers. That way, it will influence their purchase decision. If you want to get the best out of Pinterest, you need to come up with targeted and engaging pins that offer value to your audience. You can take advantage of the newly introduced pin types – rich, promoted, buyable and cinematic pins – when targeting your Pinterest traffic. For example, the buyable pins reduce the number of clicks you need to make a purchase which is good for lazy or busy buyers. But to succeed in this platform, aim to align your ads or content with the information pinners are looking for. Always check your metrics to monitor how your campaign is fairing. This is the biggest social media platform so far. According to BI Intelligence, Facebook accounts for 64% of the total social commerce platform. Besides, when it comes to audience size and revenue generation, there is no better platform than Facebook. One of the main strengths of the platform is that show it has a way of retaining users by showing them valuable and at times personal information in their job feeds. Facebook has a sophisticated algorithm that enables it to prioritize any post that is most likely to cause a buzz or positive reaction on an individual. That way, it helps keep users glued to the platform a while longer. As an advertiser or marketer, your goal is to make sure that your ads or posts are not only compelling but also relevant in the news feeds of your audience. To get the best results, you need to write targeted meaning. To succeed at it, you need to learn how to use data (metrics) to better understand the audience. That way, he will be able to place engaging, highly relevant ads with the right audience in front of the right people and at the right time. There is still another ecommerce area this platform excels at – mobile. Since 80% of the company’s revenue comes from mobile ads, the social media platform is already positioned as a perfect intersection for social commerce and mcommerce. But, there are few people on these platforms with intent to purchase. Most of them out there are researching, simply browsing through different news feed or comparing different product. However, there are still far more people browsing, researching and comparing products on their phone than completing purchases. The biggest challenge with this platform is figuring out how you can make people to make purchases using their smartphones. There are various tweaks you can use to increase the ROI though including – a video advert, use Facebook ‘offers’, ‘boost’ an existing popular post, stop selling, creating a custom call-to-action (wording), among others. Instagram recently announced that they had hit over 500 million active users. That is good news to any ambitious marketer out there. But, what really makes the platform more popular is the number of users – 68% – who engage with brands locally. Interestingly, Facebook, despite their numbers have a mere 32%. Besides the engagement ratio is 8x greater than any other social commerce network. Like the giant Facebook, this platform is also at the intersection of social commerce and mcommerce. But if you are savvy and sophisticated enough, this is a good platform to reap great rewards. But you have to come up with strategies that enable you to get there. Build rapport with influencers, improve your response rate, build customer relationships, improve your Instagram reach, and also posting eye-catching images. At times, you can also get a little more creative. For example, you can create a simple video announcing your product. But as an incentive, you can choose to reward those that click to view the video with any attractive reward of your choice. That way, you will influence them to buy your products. Your ecommerce platform software alone may not be enough to land you more sales. Nor can your Invoicing Software help you increase ROI. You need to find other ways of boosting your revenue. 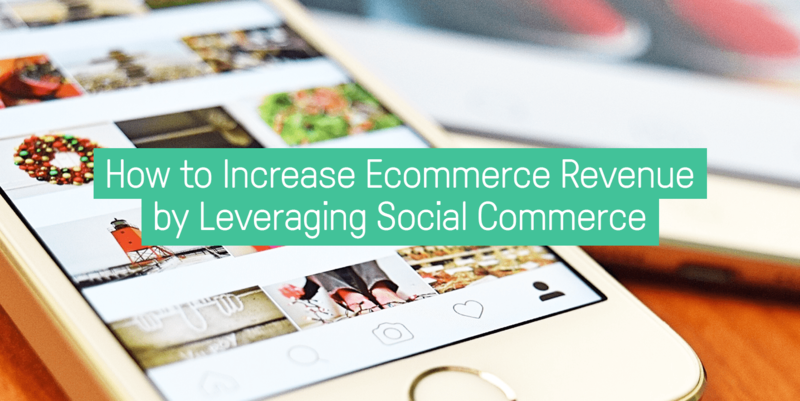 Using social commerce is one of the strategies small ecommerce stores can make use of to improve their bottom lines.